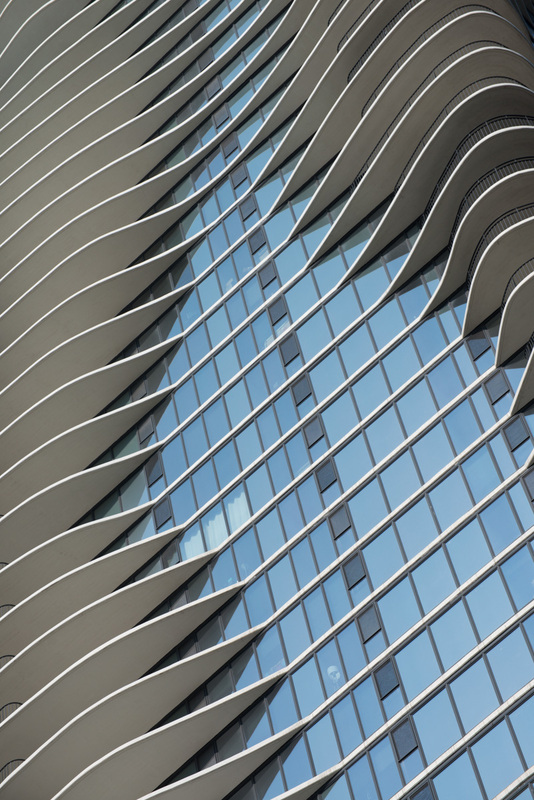 Aqua Tower in Chicago, Illinois is a unique structure in many ways. It is the tallest building in the world (as of this writing) which had a woman as the lead architect (Jeanne Gang of Studio Gang Architects). It also has one of the more unique shapes you will find in a building. The outdoor terraces differ in shape from floor to floor, creating an undulating look to the building’s exterior. The undulations create ‘pools’ of glass, which look like water when reflecting the blue sky. The different shapes were chosen based on such criteria as views, solar shading and size of the dwelling. The building currently houses a hotel, the Radisson Blu, on the first 18 floors, then several floors of rental apartments and finally more floors dedicated to condominiums. The building is located in the Lakeshore East area of Chicago, which is a quiet area with it’s own park, but a short walking distance from either the river, Lake Michigan or Millenium Park. My wife and I recently stayed at the Radisson Blu which gave me a great opportunity to take pictures of this building. Most of the shots that I took focused on some small detail of the building. 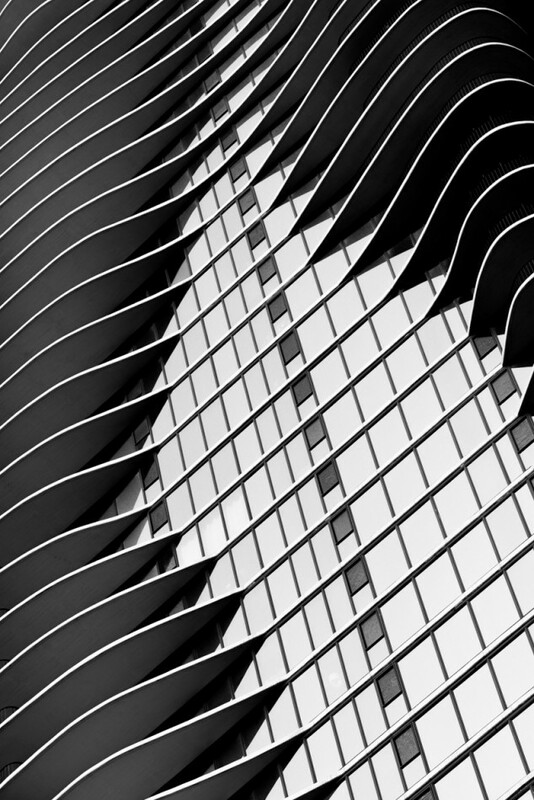 My goal was to capture the texture and contours, not to necessarily create a realistic image of the entire structure. The picture above shows both some of the contours created by the varying floor shapes along with a ‘pool’ of glass. When I converted the image to black and white, I wanted the focus to be on shapes. The conversion was actually quite simple and done primarily in Adobe Lightroom 5, using mostly the basic processing tools of Highlights, Shadows, Exposure, etc. In the black and white conversion, I increased the sensitivity to blue to make the windows go white.